Albumen photograph inscribed in negative “Burial of the Dead at the Battle of Wounded Knee, S.D.” 1891, salesman sample,6-1/2”x4-1/2. 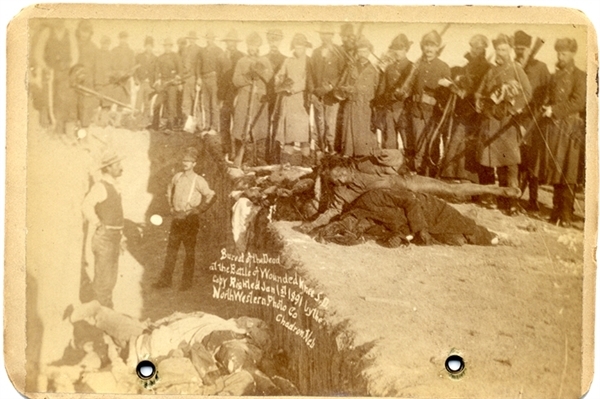 Difficult image of a couple of dozen U.S. soldiers and two large piles of dead Native Americans. Fine condition.